The sleek geometric form of the Talia Dining Table makes it a bold, yet seamless addition to a modern dining space. Its simple, minimalist design fits in well with many decors and looks great paired with many different dining chair styles. 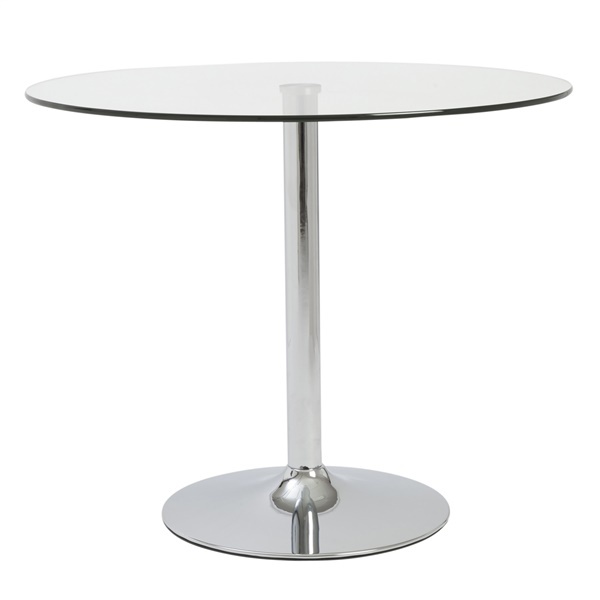 The table�s base is crafted from chromed steel for added durability and a brilliant shine. Its circular baseplate reflects its circular top, and adds stability and style. The top is crafted from tempered glass, which is durable enough to stand up to years of dinner parties.